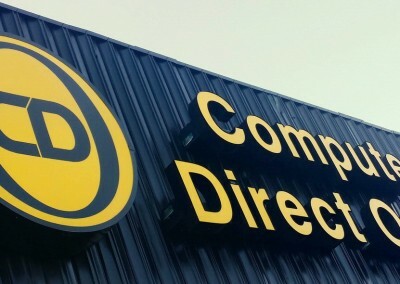 Computer Direct Business is the business division of Computer Direct Outlet (CDO). CDO has been custom-builder of business and consumer computers, a parts retailer, and a service center in Greenville, SC since 1998. They provide cost effective trusted solutions for their customer’s IT problems. 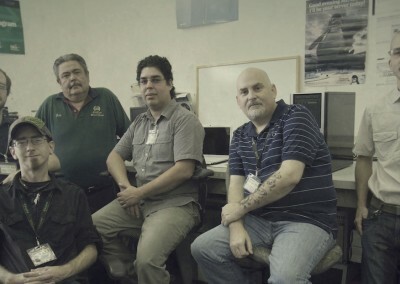 CDO does this by providing consumer and gaming desktop computers and service for their customers while their business division specializes in servers, professional workstations, business desktops and service for the small and medium sized business community. CDO micro-manufacture computers similar to the way the micro-brewers brew their beer – with skilled and experienced builders, using the highest quality parts, and tender loving care. They design all of their systems for each customer’s specific needs, professionally choose the parts, hand-build them, and provide lifetime service on every system. Their professional workstations are used by engineers, architects, graphic designers, day-traders, web designers, manufacturing product designers, and many more creative professionals. Visit their 2 great websites, www.computerdirectoutlet.com/consumer and www.computerdirectoutlet.com/business where you will find the perfect computer, workstation, server, or gaming desktop for you. Computer Direct Outlet Celebrates 17 Years in Business. January 4, 2015 – GREENVILLE, S.C.
Computer Direct Outlet (CDO) and Computer Direct Business (CDB) copyrighted images in this gallery may be used only by press agencies and journalists publishing articles specifically about CDO or CDB and its products and services. Any use outside of these guidelines is strictly prohibited. 1. These images may only be placed physically close to or connected to a published article or broadcast news story about CDO or CDB or a specific CDO or CDB product or service. 2. These images may not be copied, distributed or used separate from the article or broadcast new story about the CDO or CDB or the applicable product or service. 3. These images must be used as provided by CDO and CDB with no changes. 5. Don’t combine CDO or CDB product names with any other company, product or service names. Computer Direct Outlet (CDO) and Computer Direct Business (CDB) logos on this page may be used only by press agencies and journalists publishing articles specifically about CDO or CDB and its products and services. Any use outside of these guidelines is strictly prohibited. 1. These logos may only be placed physically close to or connected to a published article or broadcast news story about CDO or CDB or a specific CDO or CDB product or service. 2. These logos may not be copied, distributed or used separate from the article or broadcast new story about the CDO or CDB or the applicable product or service. 3. These logos must be used as provided by CDO and CDB with no changes. To present a logo, one must provide a proper minimum clearance between the logo and other elements.